What a beautiful flower, lovely deep colors, and such vibrancy. Thanks Jenni, for the kind comment. Where did you find those beauties! I am in love! Thank you for sharing. They did great despite you wet year. 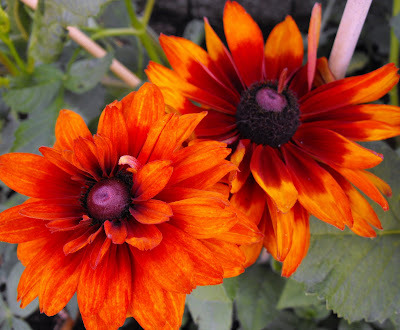 Until this year of blogging, I had no idea rudbekia came in so many lovely colours! I really like this one of yours.